Your phone presence is critical to closing sales. People make assumptions about your professionalism, customer focus and attention to detail within seconds of hearing your voice. 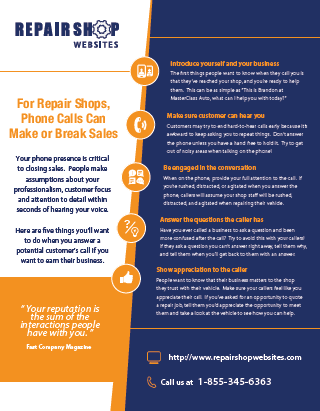 Click here for five things you’ll want to do when you answer a potential customer’s call if you want to earn their business.